Many factors effect brewing the perfect cup of coffee. The most important? Your coffee maker pot and filter container need to be thoroughly cleaned at least once a week. Bitter oils stick to the glass container and plastic filter holder. To the naked eye, water-rinsed and soap-washed coffee pots look equally clean. Protect coffee from moisture, light and air to preserve the flavor. Keep coffee in an air tight container and store in a cool, dark place between 50 and 70 degrees Fahrenheit. Freezing fresh coffee will prolong its life. On the other hand, daily removal of the container from the freezer can cause moisture to freeze on the coffee and effect the flavor. For the perfect cup, use nothing but the best quality Arabica beans. Arabica beans are also known as "specialty coffee" and "gourmet coffee". If you notice any traces of chlorine, iron, or other minerals in your water, use a quality bottled or filtered water. 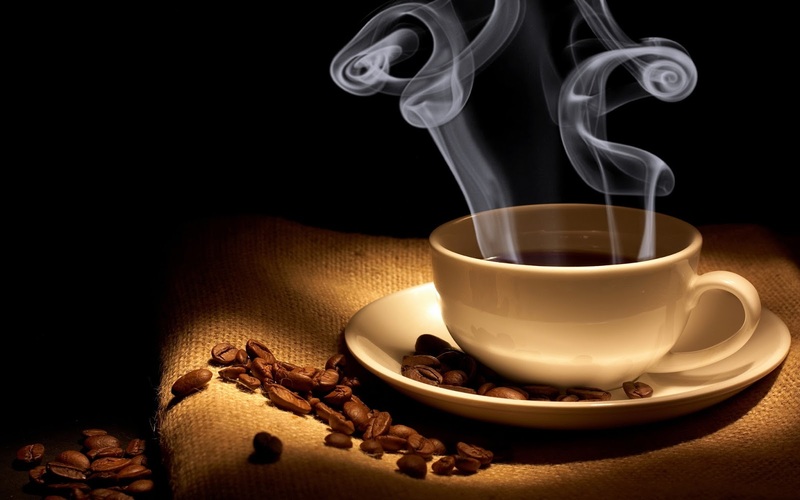 Softened or distilled water are not to be used to brew coffee as they will effect the flavor of the coffee. It's said the best water-to-coffee ratio is 1 tablespoon of ground coffee or 2 tablespoons of whole beans for each 6 ounces of water. This author has also seen 2 tablespoons of ground coffee for each 5 ounces of water recommeded for the perfect cup. Then again it's been stated 2 level tablespoons of ground coffee for every 8 ounces of water makes the perfect cup. For the perfect water temperature, bring the water to a boil and let it cool a few seconds. Known as "off the boil", the water is between 195 to 205 degrees Fahrenheit. Water any cooler than that will not capture the full flavor of the beans. Boiling or reheating coffee literally boils away flavor. A thermal carafe will keep the coffee hot for up to 2 hours without losing any flavor. The type of grind depends on the brewing technique: if the water is in contact with the coffee for a long period of time, the grind should be coarse. If the water is to be in contact with the coffee for a short period of time, the grind should be fine. Be sure your coffee beans are correctly ground for your brewing method. No grinder? No problem--use your blender to grind fresh coffee. It really works. French Press Grind coarse approximately 5-10 seconds in a blade grinder. Manual Drip Paper Filter: Grind fine, 18-23 seconds in a blade grinder. Reusable Gold Filter: Grind medium-fine, 13-18 seconds in blade grinder. Auto Drip Cone Filter: Grind fine, 18-23 seconds in a blade grinder. Flat Bottom Filter: Grind medium, 10-15 seconds in a blade grinder. will remove the taste of the paper and will result in 20-30% more flavor in your coffee.